I made the mistake of letting a crew of misfits driving around in a pickup fixing chimneys remove the loose bricks on my chimney and parge it (which apparently is illegal). Consequently each passing winter water got in, froze, expanded and loosened more brick to the point where chunks were falling on my gas fireplace during windy days in spring. Otto's crew did the following: - Break down 14 courses of brick - Rebuild chimney matching bricks and mortar as close as possible to the original - Install a new chimney cap and new flues - Reinstall original metal cages They worked quietly, efficiently and were done in less than two days. My chimney looks amazing and will no doubt restore some value to my house. I would recommend these guys for good, prompt communication and getting the job done right. I live in a 800sq.ft East York bungalow with an unventilated hip roof (there are four roof vents but no soffit to let air in). I contracted InstaInsulation to vacuum out the vermiculite and blown-in insulation (which I had flattened every time I went in the attic to replace wiring; route speaker wire; install lights; etc. and thus lost all R value) and then apply spray foam to the rafters. During our consultation Jeremy S. from Insta recommended that when I have my roof shingles replaced I should ask the roofers to remove the four vents and close off the holes. I promptly received a reasonable estimate for both jobs and as soon as my roof was replaced Jeremy had the scheduler contact me to arrange the dates. Since the job was scheduled for a Saturday I was concerned my job would be done by their B-team. The crew that came was on time, competent and efficient. As a picky consumer I was quite pleased with the outcome of both jobs. Thanks Insta-Insulation! I hired Mud Monkeys to waterproof my entire foundation wall (approx. 124 linear feet) from the exterior in September of 2011. After receiving close to a dozen quotes from both waterproofers and plumbers it was Darby's prompt replies and sincerity that made me choose them over the others. Darby and his team get the job done with no hassles. I had a ductless AC unit sitting outside that was in their way but I couldn't figure out how to mount it on the wall without breaking the lines. MM simply dug under it and propped it up on a ledge they built for it. In January of 2012 I was so pleased with MM's work I hired them to excavate my existing basement slab, install a gravel base and pour a new concrete slab. Even though I hired the structural contractor, the plumbers and HVAC guys independently Darby offered to coordinate with them when they were done with their work. MM strapped the hot water heater to the ceiling so that I had hot water for the duration of the job and they also moved my treadmill, boiler, washer and dryer out of the way for me. For my new slab I insisted on a denser 35MPa concrete to make it harder for termites to get it and Darby said he'd order that w/o altering the original quote. I am about to hire a concrete polisher and he was quite pleased with the finish of the new slab. All inquiries or concerns sent by email were promptly answered by Darby by phone. His crew were always on the job on time and cleaned up afterwards. All quotes were accurate. Fairly certain my basement windows on my 70+ year old bungalow were original. Same with the front door which looked like it belonged to a dungeon. Had four quotes from different contractors to supply and install six double-sliders and a steel insulated prehung exterior door (all Gentek brand). PL's quote was quite reasonable with two other contractors asking for 30-35% more. Because I had ordered a custom paint job on my door it took about eight weeks to be delivered to their warehouse - the custom windows were in before six. The basement window rough openings were rounded at the top. Noel (the installer) expertly cut some aluminum to match and caulked it such that you'd never know there was a big gap there. The rough opening for the door was indeed rough due to the decorative stone facing and no door buck. Noel added some wood trim to cover up the exposed areas and caulked it up nicely. Lisa promptly returned email inquiries with a phone call and the installer called at the end of the work day to provide a status update. When I am ready to replace my bay window I will be calling PL Windows and Doors. DanMac was recommended to us by the contractors excavating my existing basement slab. Danmac exposed and removed all existing clay drain pipes and replaced them with PVC. They also replaced the exposed cast iron stacks with PVC. I did not have time to pin point the new toilet, shower and tub drains (I was going to suspend a weight on a string above the exact location) but with little guidance the plumbers assigned to my job were able to use my drawings to put in the rough-ins. After I had gutted the basement there was an old vent and drain pipe left over from the old basement bathroom which connected with the bathtub on the main floor. Danmac cleverly re-routed the drain against the basement wall so that I would have the maximum flexibility in finishing my basement. The crew communicated well with me with regards to the proposed location of the sump pit/pump and where water from it would be ejected to. They also pointed out to me that I have a trap just outside my house which I may have to address at a later time. Thanks to Stewart for checking up on me periodically and ensuring the job was done to their standards. Our staff are very professional. Our goal is to train each member of our team to be a leader and take charge of the job. The finished product speaks for itself. 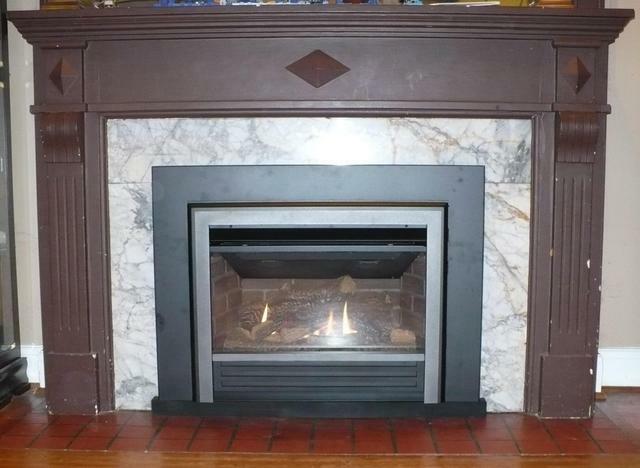 A new fireplace insert to replace the existing defective gas fireplace was in the plan for 2012. However, having started a basement renovation in the summer which included cutting out the boiler pipes I was facing a cold winter without sufficient heating on the main floor due to delays in the basement reno. I started looking for a fireplace insert the first week of December skeptical that one would be installed before Christmas and sure enough a few contractors stated they could not come in until after January. I called Fireplace Concepts and Peter went out of his way to come to my house. He promptly quoted me the next day for a Valor G3 series and suggested that it be installed elevated. The fireplace was installed the very next week just in time as temperatures plummeted. I am now able to enjoy a Christmas with a warm fireplace! The quoted price was slightly more than some of the other contractors but I would not have received the quality service and attention to detail on the installation otherwise. 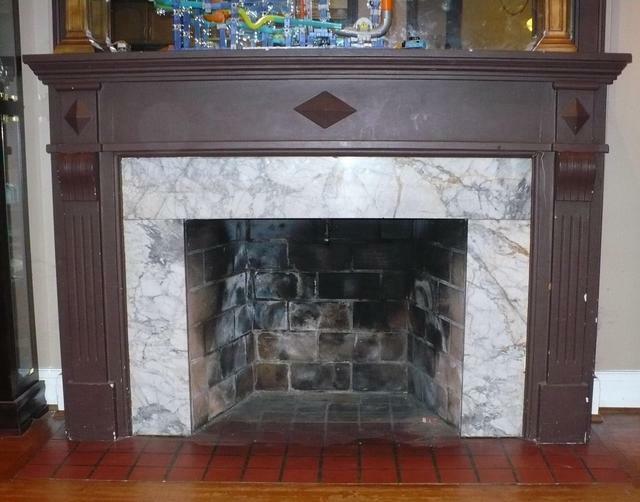 Thank you Fireplace Concepts for a job well done!